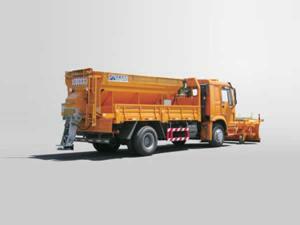 With mechanical, electric, hydraulic and pneumatic systems, the multifunctional dump truck includes a traction chassis, an attached goose-neck crane, dump trunk, generator set, compressed air control system, interface for various attachments, rear power output, side power output, alarm and night lights, LED working screen, rear towing attachment, hydraulic power system, and electrical supply system. 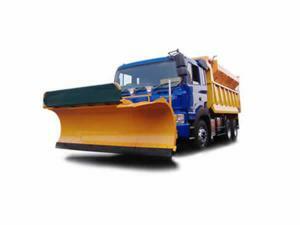 The multifunctional dump truck is frequently used in emergency cases providing a power supply for small electrical, hydraulic and pneumatic tools and attachments, transportation for medium sized rescue facilities, and removal of small obstacles such as fallen trees, snow, etc. 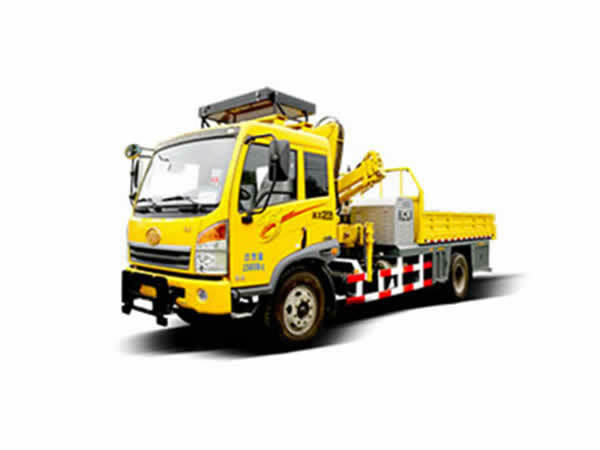 This compact truck with crane is designed to be convenient and safe to use. 1. Integrated hydrostatic and hydraulic power systems include an interface for connecting with auxiliary attachments. 2. Suitable for low speed construction work. 3. 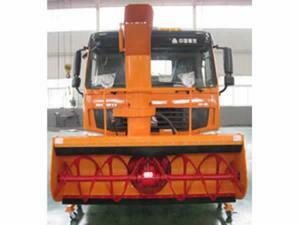 Goose-neck crane conveniently installs and switches out various attachments. 4. 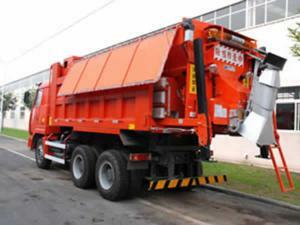 The multifunctional tool truck can easily prepare for and leave the job site with minimal traffic disruption. 5. Multiple functions in one machine reduces cost of initial investment.